About 70 kb of dialogs with crew members were translated during the last couple of days. To compare, an A4 page with 11 pt font contains only 2-3 kb of text. 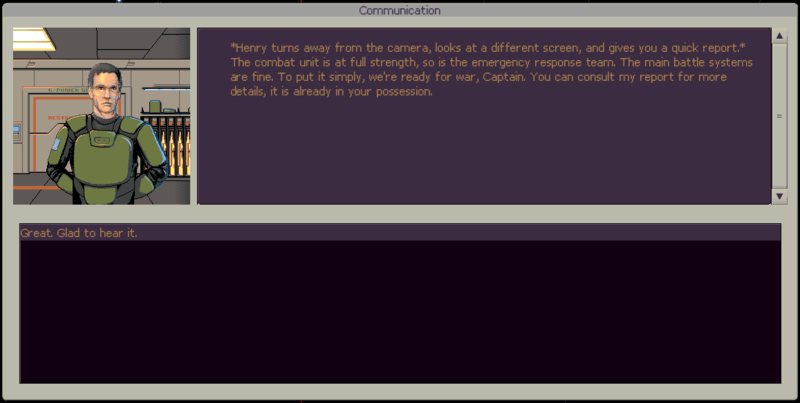 However, as our game is a story-driven one and hardly relies on dialogs in it, this is just a drop in the ocean. Currently, the game contains about a megabyte of texts (dialogs, intros, object descriptions etc), so we will need about 1.5k$ to properly translate that. And this is only the texts that are ready, and this is only about 1/3 of what we planned to include into the game. This is a large sum and we pay it with our own savings and salaries, and we will be grateful for any help.